Response: The background for this study is that prior studies have shown that people with Alzheimer’s Disease have poor circadian clock function, for example sleeping during the day and being awake or agitated at night. Autopsy studies have shown that people with Alzheimer’s Disease have degeneration in the “clock” part of their brains. In this study, we wanted to examine whether there were any circadian problems much earlier in Alzheimer’s Disease, when people do not have any memory or thinking problems at all. Response: Human exposure to environmental chemicals i.e., insecticides and pesticides increases the risk of various diseases by directly interacting with proteins or signaling pathways in the endocrine or neuroendocrine system. In this study, our teamscience effort integrating big-data computation with receptor pharmacology, report for the first time that carbamate insecticides found in household and agricultural products interact with human melatonin receptors. Dr. Nan Hee Kim: Many individuals in modern society experience a discrepancy between social and biological time. Especially during the work or school week, we are often forced to be awake against our preferred time. In addition, the increase of light, TV, computer and internet make people stay up late at night. However, night owls (evening persons) have been reported to have more health and behavioral problems than morning persons. Evening persons experience eating disorders, negative mood and insufficient sleep compared to morning persons. They initiate sleep later in the night but need to wake up earlier than their biologic morning due to social demands. There is abundant evidence that short sleep duration and insomnia are significant risk factors for obesity and diabetes. Therefore, we feel the necessity to reveal whether evening persons are associated with metabolic abnormalities in the general population. Dr. Nan Hee Kim: In middle-aged adults, people who stayed up late had a 1.7-fold increased risk for type 2 diabetes and metabolic syndrome, and a 3.2-fold increase in risk for sarcopenia as compared with morning persons, independent of sleep duration and lifestyle. Evening persons were associated with reduced muscle mass in men and increased fat mass including visceral fat in women. Response: Alcohol-use disorders are often comorbid conditions with mood and anxiety disorders. Clinical studies have demonstrated that there are abnormalities in circadian rhythms and intrinsic clocks in patients with alcohol-use disorders. Circadian clock gene variants are therefore a fruitful target of interest. The main findings are that variants of key clock genes, namely those of ARNTL, ARNTL2, PER1 and PER2, have association with alcohol consumption, with alcohol abuse, or with alcohol dependence. 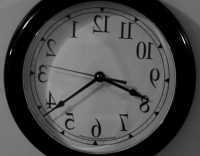 It is of interest that variants of a fifth clock gene of key importance, that is those of CLOCK, are associated with alcohol-use disorders only if comorbid with depressive disorders. Dr. Hill: The main findings of our study are that exposure to even dim light at night can drive human breast tumors to a hyper metabolic state, activating key tumor cell signaling pathways involved in tumor cell survival and proliferation, leading to increased tumor growth, all resulting in a tumor which is completely resistant to tamoxifen therapy. Our work shows that this effect is due to the repression of nighttime melatonin by dim light at night. When nighttime melatonin is replace the tumors become sensitive to tamoxifen resulting in cell death and tumor regression.